Ensuring that your pay structures are fair and equitable is an ongoing and ever present challenge. This case study illustrates a typical example of where a client knows fundamentally what is wrong with their current pay structure, but needs some guidance and support on how to address the issues. The company had a number of pay approaches in place – each originally implemented with a view to ensuring that they could remain competitive when recruiting into the different parts of their business. However, the pay structure in each part of the business was different, with a variety of rules and implementation practices in place. There was an underlying feeling that this could ultimately lead to pay gaps, and the client’s employee survey had highlighted that staff were unhappy with the current frameworks. The HR Director knew they needed to make some fundamental changes, and had in mind the outcomes they wanted to achieve, but wanted a critical friend to help them ensure the process was robust. The culture was very diverse, with each part of the business having its own strong sense of identity. The directors who negotiated most effectively with their CEO were more likely to get the best pay outcomes. Some individuals had negotiated pay and bonus terms that were more generous than colleagues of a similar level. There was little appreciation that pay and terms decisions had a wider impact across the business. Job information was out of date and it was difficult to quantify where similarities and differences occurred in the application of pay and terms, and why. 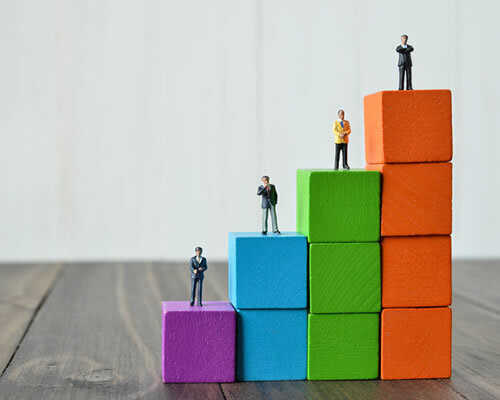 The HR team felt that the current approach was likely to give them difficulties later, especially with the introduction of the new gender pay gap reporting regulations. The business needed to take control of its pay and reward policies and ensure that there was some sort of consistency in how they were applied. Directors and managers needed to recognise that there were risks inherent in the current process and understand how they could minimise those risks. The HR team needed to ensure that everyone understood how the pay and reward policies would work. What did Menzies Law do? Our specialist reward consultant worked with the Director of HR to map out a process for reviewing the current approach and establishing what needed to change and why. Our consultant worked on site directly with the HR team to give advice and practical help as the process developed. Identifying what the overall business objectives were and how the current approach was supporting or blocking achievement of these objectives. Identifying an appropriate job evaluation scheme, and ensuring all jobs were assessed. Reviewing the pay and terms of individuals to establish what patterns and anomalies arose. Creating pay models that could be updated as necessary to review progress. Establishing who needed to be involved in the decision making and ensuring they were engaged in the process. Reporting on the issues, including costs and efficiencies that could be achieved if a consistent approach was applied. Getting agreement to the principles of implementing a change programme. Developing a communication plan to support implementation. Reviewing strategy and policy documentation to ensure that it supported the overall objectives. Our client was able to take a report to the board that clearly established the issues and principles at risk. Costs and efficiencies were identified, along with the implications of any actions taken or not taken to address the issues. Agreement was received to progress with the implementation. Directors and managers now have a robust set of principles to guide them and are more aware of the implications of their decisions. The HR team is better informed and able to support the decision making process more effectively. The team has learned how and when to take steps to mitigate risks within the business and is more confident in their support to the business. Staff have seen that their input to the staff survey is treated seriously and action is taken to address their concerns.